MentorU is the perfect tool for getting a mentor relationship started and headed in the right direction. We designed MentorU as a universal first step that identifies an individual’s next step. MentorU will challenge and grow you, and deepen your relationship with God and God’s people over the course of six sessions. He spent more of His time pouring into a few while He continued to interact with many. Perhaps it is time for you to take your faith to the next level by using MentorU, allowing someone to pour into you or you pouring into someone else. There are no stringent qualifications or expertise required, just a willingness to go on a journey with someone else through the vehicle of MenorU. We know you will be blessed and enjoy the journey that is MentorU. 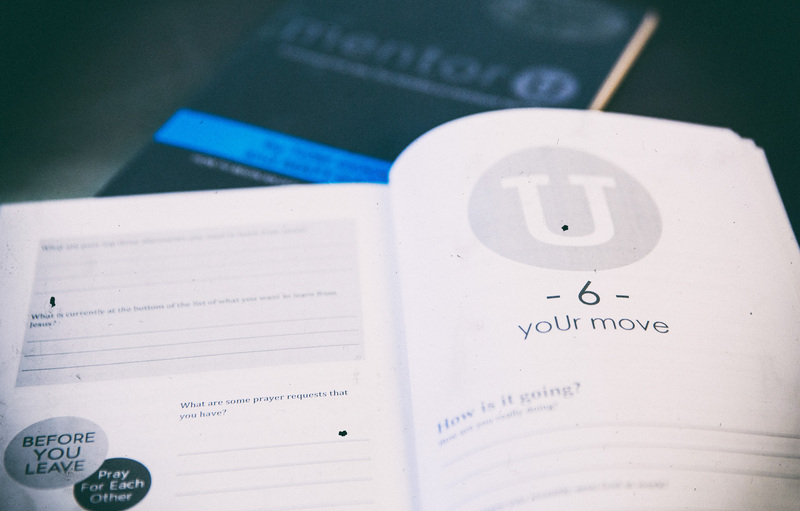 The book contains a CLEAR plan on how you can identify your mentor or mentee. Once you and your MentorU partner have completed the 6-session curriculum, you can move on to NextSteps. Fill out a separate form for the mentor and mentee. We are offering the book at cost to Harborsiders. Please bring a $5 donation (per book) at the time of pickup.